'Granny flats' could provide a way for people to live the way they like, but they need effective regulations. A little-noticed law approved by the Legislature last year has the potential to alter the character of most suburban neighborhoods in the Portland metro area. It's too soon to say whether the outcome will be overall positive or negative, but this particular piece of legislation is fraught with potential unintended consequences. The 2017 state law requires most Oregon cities and counties, by July 1 of this year, to permit one accessory dwelling unit, or ADU, inside or alongside each single-family home. These accessory units (sometimes called "granny flats") still would be subject to "reasonable" design and siting regulations, but the Legislature is requiring suburban cities to loosen those standards and allow ADUs that previously might have been restricted. The idea is to create a supply of affordable rental housing that would be ideal for young people and seniors. 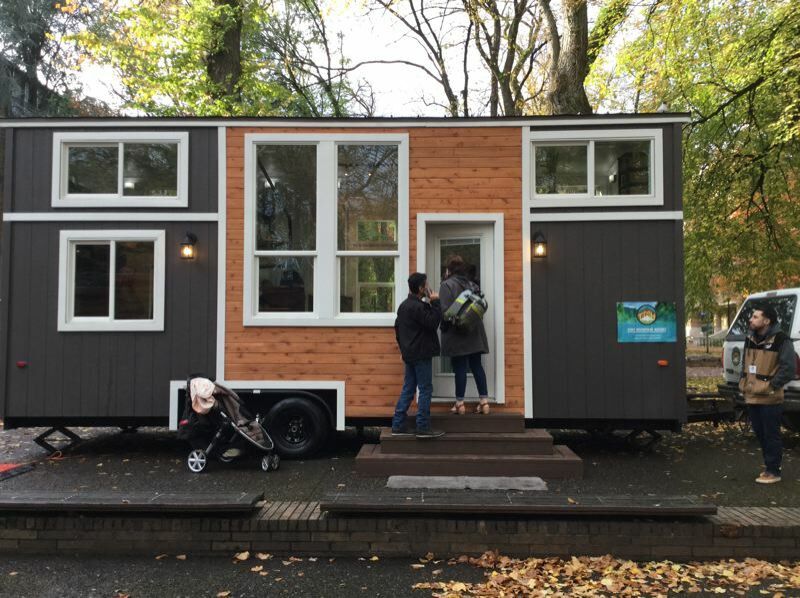 The city of Portland already has softened its regulations for ADUs, and the result has been a spike in garage, basement and attic conversions and stand-alone backyard cottages. The Legislature's intent, with Senate Bill 1051A, was to carry that trend outside the urban core and into the suburbs and around the state, where restrictions on such units are common. Before the Legislature approved Senate Bill 1051A, for example, the city of Tigard outright banned detached ADUs, sometimes known as backyard cottages. Now, a city task force is recommending that every single-family home be allowed up to two ADUs — one inside the primary dwelling and one in the back yard. Other cities had placed caps on the size of ADUs, in some cases as low as 400 square feet. Now, the model state rule suggests raising the maximum size to 800 or 900 square feet — enough for a couple bedrooms, a bathroom, a living room and a kitchen. If cities adopt more reasonable standards than before, they will take away the incentive for people to create dwelling units under the radar, without permission from local governments. They will make these homes safer, and they will increase affordability both for the renter and the homeowner who benefits from the rental income. There's logic to that, since the Portland area's affordable housing problems are regional in scope, and more dwellings can help meet the demand. ADUs offer a desirable alternative to traditional forms of rental housing. The region has numerous inner-city high-rises and large suburban apartment complexes, but some renters may prefer the atmosphere found in a single-family neighborhood. And that's precisely where potential unintended consequences could arise. Many suburban neighborhoods, even to a greater degree than those in Portland, were designed for stand-alone houses with two-car garages and space for a backyard. In some areas, the desired suburban nature of neighborhoods could be threatened by a boost in ADUs. Parking also has been an issue, with most jurisdictions in the region requiring that ADUs have off-street parking. Some jurisdictions are now considering eliminating those regulations. If you take all these rule changes to their ultimate conclusion, they could result in much denser suburban neighborhoods with more cars lining the streets or jammed into existing driveways. Given the fact that the region's previous density requirements already encourage small yards and closely packed housing in most neighborhoods, adding even a few ADUs could produce conflicts among neighbors. Those conflicts have to be weighed against the potential positive outcomes for allowing more ADUs. Many suburban cities limited the size and number of ADUs to protect livability and avoid overloading infrastructure built for single-family homes. As these cities now move to comply with the new law, they should ensure that while addressing the crisis of the day — affordable housing — they don't create new problems. Lawmakers, meanwhile, should monitor the results of this experiment and be ready in future sessions to tweak Senate Bill 1051A if it finds that the law is producing unintended (and undesirable) consequences.